Words. Photos. Will Sellers. Graphic. J Thomas Codling. It's not every day that forYoungModerns is invited to cover a show that the likes of Aziz Ansari and Christopher Mintz-Plasse are spotted at, and we're always very grateful when it does happen. Such a show happened late last week as a duo of equally highly buzzed-about bands, Yuck and Unknown Mortal Orchestra, shared a bill at Los Angeles' The Satellite. This concert, the last of a long tour, quickly went from being a potentially fun show with a couple of promising new bands to one of the most anticipated concerts of recent memory. The Satellite was packed -- even for the openers (a Los Angeles rarity) -- for these two bands whose members hail from (and were eventually displaced around) all over the globe. 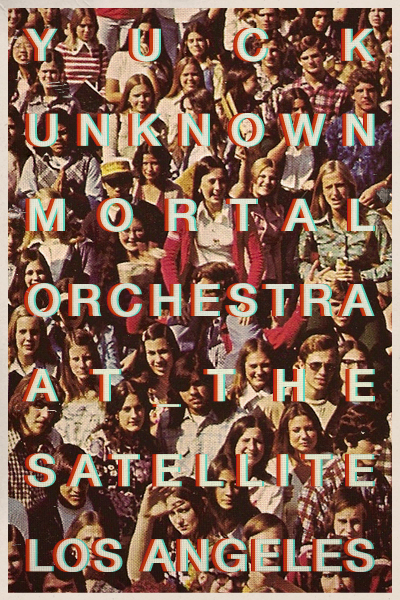 Unknown Mortal Orchestra is fronted by Ruben Nielson, originally from New Zealand and now based in Portland, Oregon. 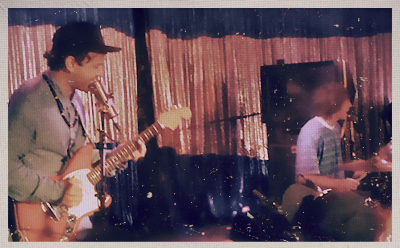 Yuck's prominent members include London-based singer Daniel Blumberg (who, at 20 years old, wasn't allowed in the 21+ venue until showtime) and American (by way of New Jersey) drummer Jonny Rogoff, who had a chance meeting with each other in Israel that eventually led to the formation of this multi-continental band. 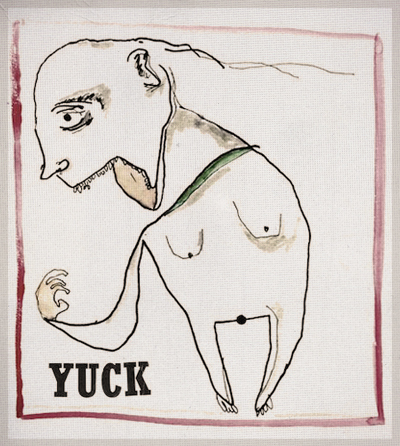 Yuck is rounded out by Blumberg's fellow Londoner and childhood friend Max Bloom and Japanese ex-pat bassist Mariko Doi. All of these people from all over the world took various paths in their lives to convene together on this special night at The Satellite. (Above: Unknown Mortal Orchestra) First up was Unknown Mortal Orchestra. Their recently released debut self-titled album (which you can purchase HERE) is an eccentric and hopelessly addictive collection of (mostly) stripped-down lo-fi funk rock jams from outer space. It truly is unlike anything that's been released in some time yet doesn't feel too out of place in the current indie rock consortium. On the record, the songs are relatively short and sweet (especially psychedelic spy movie theme closer "Boy Witch"), but live, the songs are completely transformed into lengthy guitar god anthems. 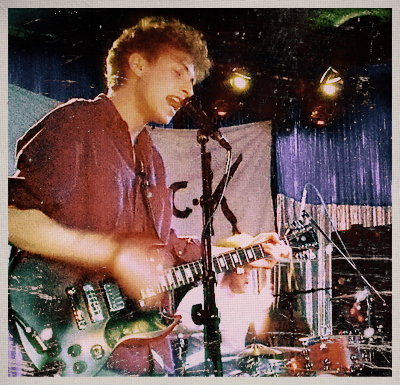 Nielson utilizes his seemingly sloppy yet ultimately razor sharp guitar pick-less playing technique to melt the faces off all attendees with the combination of guitar solo mastery and incredibly catchy vocal hooks. 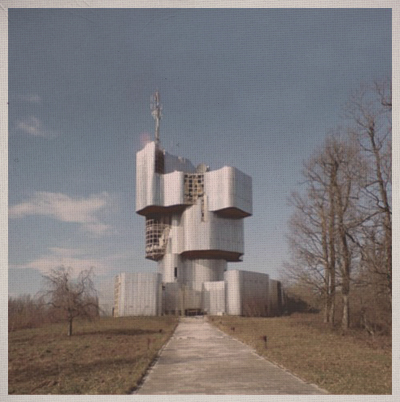 (Above: Unknown Mortal Orchestra's debut self-titled album) With the guitar work on the actual record impressive but not as flamboyant as their live show, the drums steal the spotlight on the album. 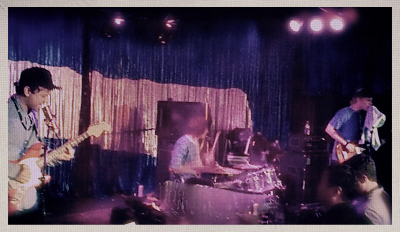 They were recorded by young drummer Julien Ehrich blanketed by a perfect amount of vintage 1970's-style subtle muteness. Live, Ehrich's drums provide the beat for unavoidable body movement amongst the crowd. (Above: Unknown Mortal Orchestra) In and around the Los Angeles scene, it's hard to pinpoint back to a time in recent memory when a crowd was so transfixed by an opening band, but UMO has more than enough tricks up their sleeves to entice any audience. (Above: Yuck) Headliners Yuck were equally impressive as their tourmates. Everybody is saying it but there is no denying it: Yuck are a 90's alternative rock band remade for our times. Everything from their goofy band name (a la Weezer, Archers of Loaf, Smog, Pavement, Belly, Cake, Pulp) to the loud dreamily distorted guitars to Blumberg's frizzy hair and thin-as-a-rail look scream 90's alt rock. Yet, in the advent of popular synth-dominated trends like chillwave and dubstep, a pure alt rock band like Yuck sounds remarkably fresh. 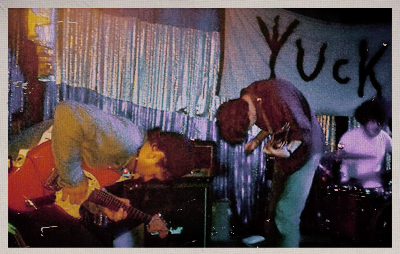 (Above: Yuck) Yuck was pure rock & roll energy from start to finish. Kicking off with single "The Wall" through the Sonic Youth rip and tear of "Operation" and finally ending with the Pumpkins-esque hard rock dream that is "Rubber" (which ended up being a cooperative show-closing jam with UMO complete with double drummers), Yuck let it seep into the minds of the Los Angeles crowd that maybe the electric guitar isn't so dead after all. (Above: Yuck and Unknown Mortal Orchestra performing together) As the 90's ended, so did the feeling that rock and roll always had to be defined by the electric guitar. Aside from your occasional Strokes and White Stripes, guitar rock records in the 00's started to feel dated compared to hyper-modern, synth-heavy, and often experimental masterpieces provided by the likes of Radiohead and LCD Soundsystem. 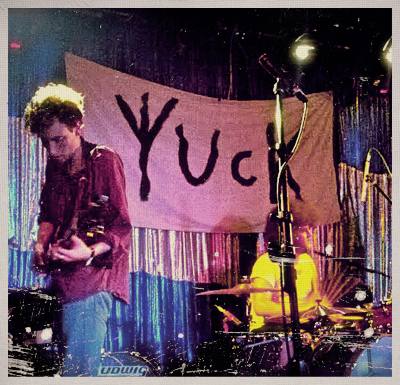 Yuck's debut takes us back to a time when the classic vocals/guitar/bass/drum setup of a band felt like the most natural state of rock music. And, as aforementioned, when contemporary music is increasingly being littered with electronic flavors of the week, it's a very welcome thing when a young band like Yuck can remind us to focus on what's most important: an perfectly toned screaming electric guitar. Above: Music Video for the Yuck track "Georgia"
Above: Unknown Mortal Orchestra just released a NSFW video for "Little Blu House"
Above: Check out video footage of Yuck + Unknown Mortal Orchestra performing the former's "Rubber" at the conclusion of the show at The Satellite.